Probably the sportiest handling SUV in the £20k-£30k bracket. More spacious than original. Options include electric tailgate. Ride on 18-inch and especially on 19-inch wheels is hard. 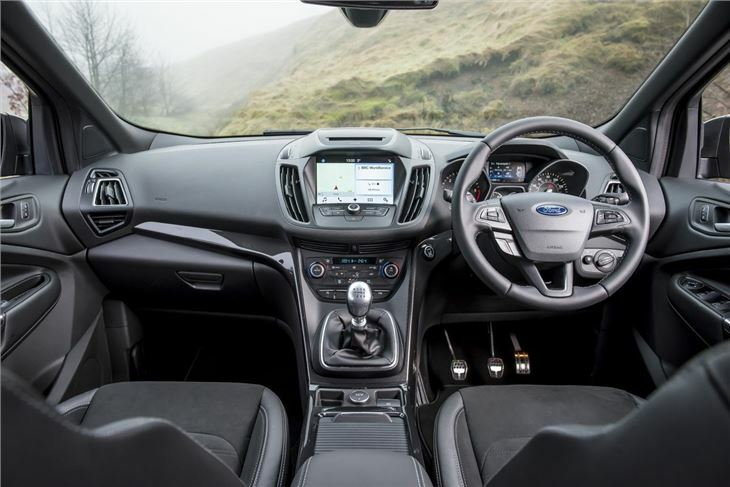 The second generation Ford Kuga is more spacious than before and includes new technology like an electric tailgate that can be opened and closed by 'kicking' your foot under the rear bumper. On sale in the UK from early 2013. The clever system was first seen on the Audi A6 Avant and Ford is hoping that it will help the new Kuga stand out from the current clutch of mid-sized SUVs. The brand is also promising a higher quality feel all round. 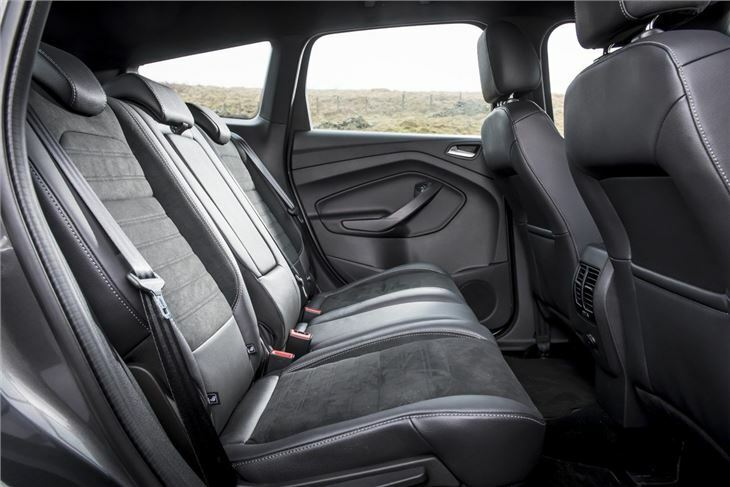 The boot is larger too with 442 litres - an increase of 82 litres over the current model - plus the rear seats fold flat via the touch of one button. It is powered by familiar Ford engines including the 2.0 TDCi with either 140PS or 163PS while the PowerShift automatic gearbox will come as an option. There are also 1.6-litre EcoBoost petrol engines, as already fitted in the Focus and C-MAX. Both two-wheel drive and four-wheel drive models will be available. The AWD system constantly assesses the road conditions, adjusting the power split to give the driver the best combination of handling and traction. It also gets the Torque Vectoring Control system which was first fitted to the Focus. The Ford SYNC system - a voice control, device integration and in-car connectivity system will be available from launch. It includes Emergency Assistance, which upon detecting airbag deployment or activation of the emergency fuel shut-off within the car, uses the on board GPS locator and Bluetooth-paired device to set up an emergency call and provide GPS co-ordinates, in the local language, for the emergency response. Best Ford I have had. Amazing, versatile, comfortable, very quick, economical, easy to drive.